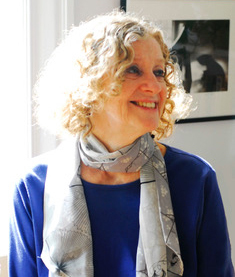 KATHLEEN HILL has lived most of her adult life in New York City. In her twenties she and her husband, Clifford Hill, taught in a secondary school close to Lagos, Nigeria, and then a few years later spent a year in Niger with their three young children. After receiving a doctorate in English literature, she resumed teaching and in her forties began writing short stories. She’s taught in France, China, India and Turkey as well as Nigeria. Now she teaches in the M.F.A. program at Sarah Lawrence College. 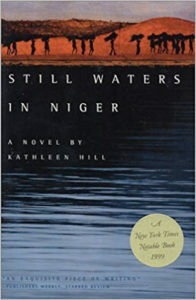 After visiting her newly-grown daughter in Niger, who had herself returned to Africa in the Peace Corps, Hill wrote Still Waters in Niger, a novel that is set in the Sahel in a time of famine. It is centered in the complicated bonds between mothers and daughters and the will to survive in a place where the children are starving. Published in 1999, it was named a Notable Book of the Year by the New York Times, Los Angeles Times, and Chicago Tribune, and was nominated for the Dublin IMPAC Award. The French translation, Eaux Tranquilles, was short-listed for the Prix Femina Étranger. A witness to hunger in Niger, Hill was involuntarily returned to her own family history, to its roots in the Irish famine. 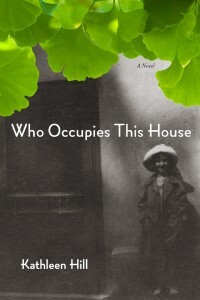 In an attempt to engage ancestral memories and explore the ways they play out over generations, she wrote her second novel, Who Occupies This House, published in 2010 and selected an Editors’ Choice by the New York Times. 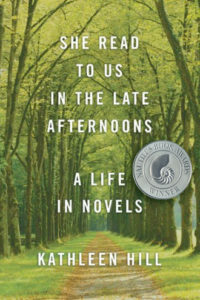 Hill’s most recent work is a memoir, She Read to us in the Late Afternoons: A Life in Novels. It was born out of Hill’s realization that her own strongest memories of a time and place were almost always illuminated by a novel she’d been reading at the time. The first chapter of the memoir, “Lucy Gayheart”, was originally published as “The Anointed” and reprinted in Best American Short Stories as well as Pushcart Prize XXV, and The Pushcart Book of Short Stories. “Portrait,” an earlier version of the second and third chapters of the memoir, first appeared in the Ploughshares Solo Series (2014), 27, and the Amazon Kindle edition was selected as One of the Best Singles of 2014. A short essay, “Forgiveness,” published first in AGNI, was reprinted in The Best Spiritual Writing, 2013. Hill’s essay on the Irish fiction writer Maeve Brennan is published in Nine Irish Lives, edited by Mark Bailey, March 2018.